2017 is a big year for Whisky Rover marking 7 years of when I first started my journey back through whiskies. Time flies and all that. Speaking of which, a recent trip to Las Vegas prompted a fearsome piece of inspiration about visiting 7 bars on the Strip and beyond. 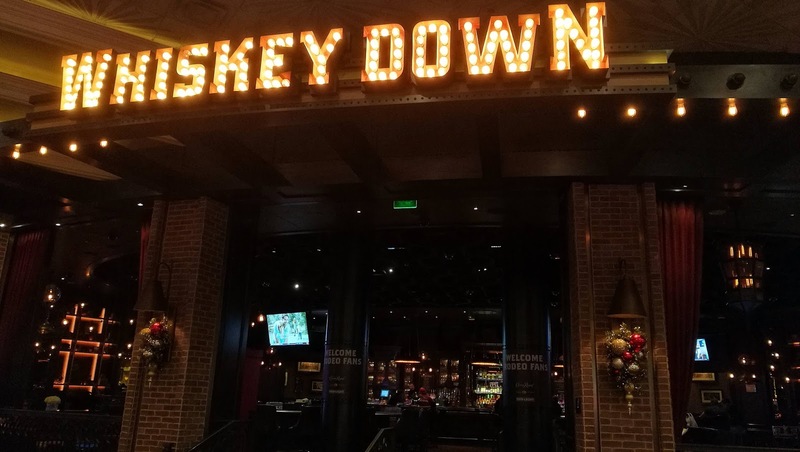 The aim is to experience randomly selected bars and take in a different bourbon or whiskey each time that may or may not have been recommended by the bar staff. I'm always eager to broaden my experience with North American whiskies and this seemed like the perfect opportunity. A few hours each night on the tables and then an overpriced bourbon to end the evening. What could go wrong? Well apart from my wallet taking a hammering but isn't that always the case with any trip to Vegas? Lets kick off at the Yardbird Southern Table & Bar which you'll find at the Venetian handily just off the casino floor. This ticked all the boxes for us offering American cuisine and an extensive whiskey and whisky list. I could have spent a great deal of time looking through all the ranks but left this one to our server with the only outline being a rye. As with most staff recommendations they shun the extravagantly priced options and select something a little more palatable. Our conversation also highlighted (to me anyway) the aspect of Proof i.e. alcohol strength that many clients must focus on. I'm not that fussed about the strength or a one-way ticket to casino oblivion; its about the experience and not the burn. A big daddy being 95% rye (much higher than legally necessary) and the remaining 5% malted barley. 6 years in newly charred oak barrels then 18 months in ex-rum casks. Taste: I know I'll be saying vanilla a great deal in this piece and here's its noticeably creamy. There's butterscotch and caramelised sugar work, toffee and a spicy depth with cinnamon and nutmeg. A little rum at work here as well. Nicely balanced. Taste: vanilla crème brulee with cream soda and a tinge of alcohol yet pretty rounded. A definite Caribbean influence with the rum, raisins and more toffee. Overall: this is a small batch whiskey producer based in Louisville that is owned by Bacardi Limited. Fingers in every pie and all that. There's a certain chic to the bottle design that's for sure. Despite the high rye content in the mash and how enjoyable this one was. I felt that the casks had erased somewhat that rye chemistry on the palate when it came to the actual taste. Now we're sitting in Lago situated in the Bellagio and whilst this restaurant does have a small bar area to the front it's Sunday morning. That means their stunning brunch is on offer and we're sat overlooking the fountains. It's a special setting and whilst sadly there was no Tormore on their bar list (I did almost choke at the price for a 25 year old Scotch), there was one obvious candidate. 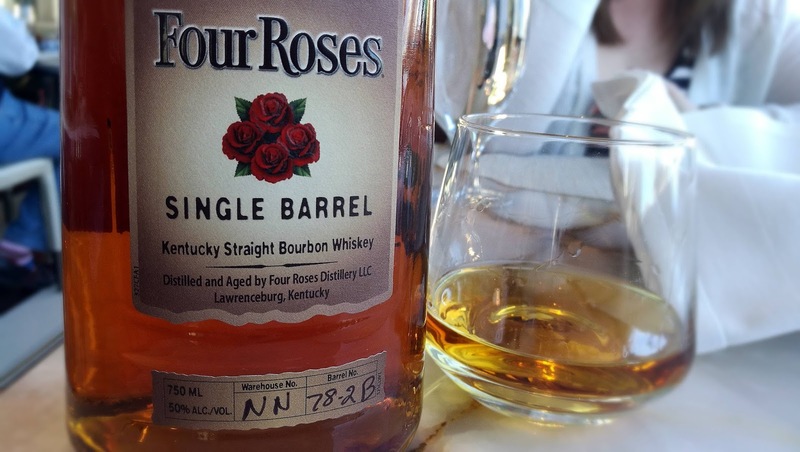 It comes from the Four Roses Distillery in Lawrenceburg, Kentucky. This is the Bellagio single barrel for $14 a measure. Nose: ooh vanilla marshmallows with some popcorn thrown in. Aye there's toffee and some resin but beneath a hint of cinnamon and a dash of beef stock. Toasted brown bread and more sweetness with caramel, fudge and a hint of rum. Taste: a rush of vanilla and the bitterness of the wood that moves into the finish with some pink peppercorns. Hitting reverse for a moment we find oranges, cherries, almonds with a creamy milk chocolate. Spicy? Yes of course with cinnamon bark and nutmeg. Overall: compared to the Angel's envy this one felt just more au naturel. Not a rye I appreciate, but whoever selected this cask for the Bellagio has done a sterling job. A really enjoyable straight bourbon with just enough layers. Now we're moving off Strip and heading downtown which means Freemont Street. It's a hive of activity and old Vegas and plenty of bars once you spill off the main street into the surrounding blocks. We ended up at the Container Park which is exactly what it says; I've never had a drink in a shipping container but there's a first time for everything. This friendly complex plays host to small local shops and would be a favourite with any foodie given the quality hot dog or Mexican food on offer. We were here to check out Oak & Ivy that has a great selection of whiskies; see the top photograph for half of the selection. What initially was meant to be a brief visit turned into a couple of hours sitting at the bar. Adam was keeping all the clientele enthused with his passion for cocktails and some wonderful creations that we all sampled prior to his competition the following week with Remy-Cointreau who of course own the consistently dull Bruichladdich. Being off Strip the prices are slightly cheaper but not hugely. Instead you're paying the obvious skill behind the bar and a mesmerising selection of whiskies. I'll hold my hand up here and admit I had more than one. It was a surreal environment as we were surrounded by Santa's thanks to the Santa Christmas walk held that morning and the sun was blazing. I felt as if I was starring in a warped version of Honeymoon in Vegas with all those Elvis costumes replaced by the glowing red of Santa; even the pets were dressed up! Oak & Ivy is a very sociable bar as a group of us soon dominated the counter. Names aside we had a retired law enforcement officer, a Vegas native and a glamorous lawyer from LA. The banter was intoxicating as were those creations from the bar! I did try out a couple from the Westland distillery and I'll review these separately as we're on a 7 whisky vs 7 bar foundation here. 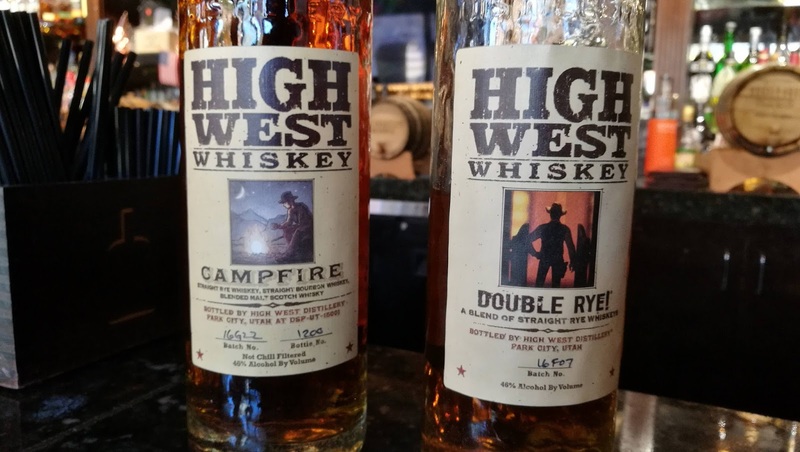 So that left this double rye from Park City, Utah and High West distillery that has a very inspiring history. Nose: caramelised bananas and vanilla custard and that crunchy brulee topping. Then more syrup with nutmeg and all-spice. Taste: stewed apples then golden syrup with the vanilla brulee again plus more bananas. Then a wave of spice that was missing in the Angel's Envy with nutmeg, cinnamon and black pepper. There's dark chocolate and a tinge of alcohol moving into the finish. Overall: a really enjoyable, engaging and flavoursome rye that won't break the bank. Almost so good I nearly had another shot. Moving onto our next bar we're in the epic labyrinth that is the MGM Grand. It's a bizarre setting as the Rodeo is in town and the casino floor is populated by regulars, tourists and cowboys and cowgirls. It's easy to lose track of time in such a controlled environment. Bars and food options surround the casino floor; so much so that you never need leave to other than to retire for sleep. In the centre of this carnival is Whiskey Down. A bar that offers a refuge from the hustle and bustle of gambling with a comfy leather chair. A sizeable selection of whiskies is available some you may need a big win to afford. Annoying prices are not listed apart from their specific single barrel bottlings that are actually reasonable. An impressive Scotch selection including a Rosebank that'll set you back nearly $300 a nip is on offer. That's beyond Edinburgh tourist prices and explains why most of the cowboys seemed content to have a beer. Lightweights. Amidst some formidable names - and possible prices - I plump for a whiskey that's relatively new to me from Kirby, Wyoming. This is an independent and family owned distillery, the son of the founders is the head distiller and visiting the official website it does seem like a real close knit team. Nose: an evident barrage of crushed hazelnuts with cinder toffee and brown sugar. The vanilla is more subtle and subdued which I'm thankful for. There's an interesting hint of paraffin before this evaporates into sweetness with maple syrup and nutmeg. Taste: initially its a little watery but a transition kicks into vanilla, pine cones and more brown sugar. Followed by blood orange, cinnamon and dark chocolate with a black peppery finish. Overall: there's a cask strength version out there of the Wyoming whiskey so it'd be interesting to compare both. I left this one thinking there wasn't much depth but looking back on my tasting notes its above average and certainly made with love. Our hotel during this Vegas visit was the Vdara which suited our needs and lacks such a traditional inclusions like a casino or a real bar of note. An accessible location means that you can easily walk to the Bellagio, Cosmopolitan or the Strip itself within minutes. Just to the rear of the hotel is the Aria that offers a nightclub, restaurants, casino and various bars. One of note that soon established itself as a favourite haunt is Sage. This is more a high-end restaurant with a bar area that is very comfortable with live music at weekends. Aaron behind the bar is very knowledgeable on all matters including Pokémon that kept my better half occupied whilst I scoured the drinks menu. 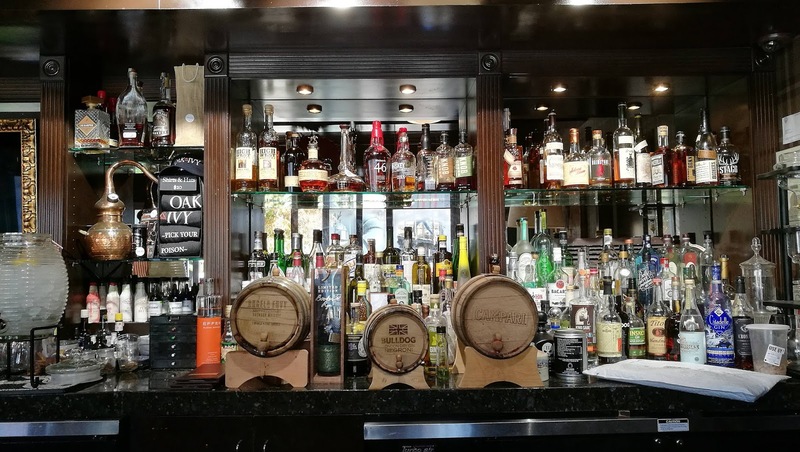 The whiskey list is extensive and including a selection of Scotch Malt Whisky Society bottlings and rarely opened American whiskies. They're also not afraid to display the price which is refreshing on our journey so far. Another first is serving your choice in a Glencairn. So all good and what about the whiskey Aaron suggested? Nose: very engaging and layered with cinnamon, honey, vanilla and coffee beans. A passing floral note almost perfume-like. Then fruits with oranges, raspberries and a delicious dark chocolate. Taste: very rounded and restrained but some noticeable characteristics. A mellow toffee with a hint of bark and vanilla. More oranges and walnuts. Overall: not a rich bourbon but an interesting and accomplished one. 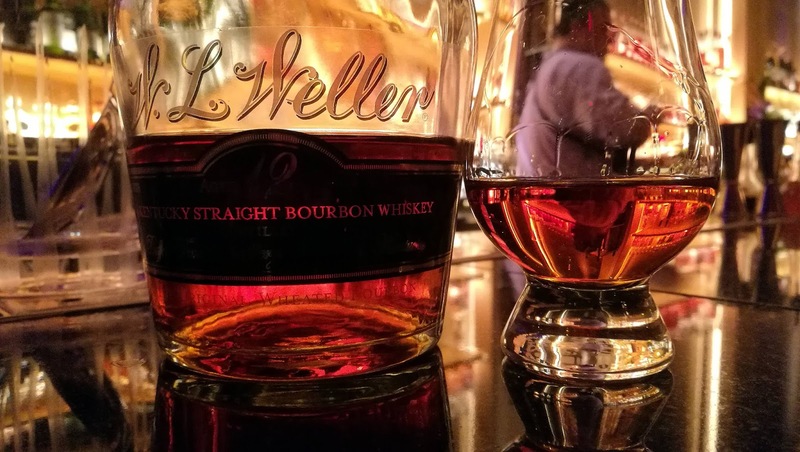 Nowadays everyone scrambles for the Weller annual special release and was a taste of what makes these bottlings so enjoyable. With our time in Vegas nearing an end we still have two more potential bars and whiskies to experience. My own thoughts are to go off-strip again and seek out new delights. Vegas is a gambling mecca but this goes hand in hand with cigars and alcohol. There are countless possible choices but time means we're confined to the nearby hotels on the strip. 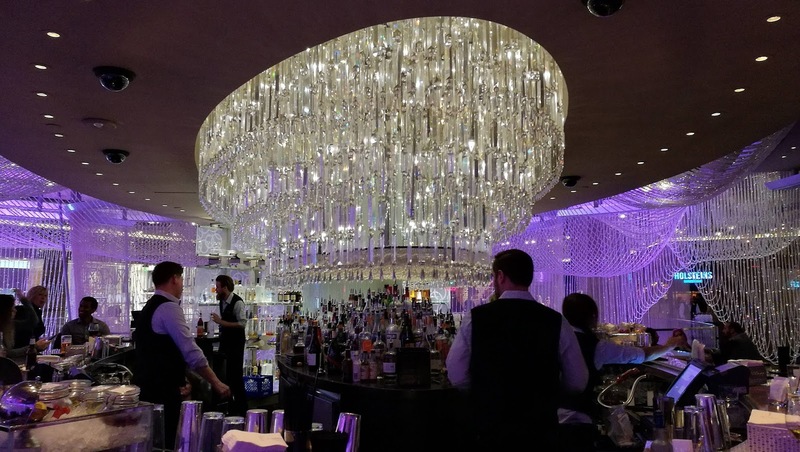 One perceived lavish bar that often appears on many visitor lists is at the Cosmopolitan hotel. The Chandelier is split over three levels and encased within a giant chandelier of all things. It's more known for its cocktails than anything else which is confirmed by the fact they don't even offer a whiskey list. This is despite having several bottles on display alongside the staircase. This is where the visual arts of bottle design are truly appreciated but arguably not the contents. Chandelier is an establishment to be seen at more than anything else. The fact you're posing with a whiskey in a tumbler should say it all. For the enthusiast it is an alien environment and one that should only act as the final or opening drink of your evening. Before moving swiftly elsewhere I looked across the bar offerings and plumped for the following at thirteen bucks. I've headed north with this Canadian blended rye whiskey. Produced at Corby distillery near Onatrio. Bottled at 46% strength. Nose: smoked vanilla, kindling and honey. There's fudge, black tea and cinnamon present with oranges and caramel also. Taste: a weak rye based on my experiences in this piece and lacks punch. Balsa wood, toasted vanilla, caramel and cereal grains. We're back at the Bellagio and specifically the Petrossian Paris bar which overlooks the casino floor and main lobby. This is the one that often has a pianist playing versions of popular songs and is frequented by those who would rather been seen at the Bellagio rather than gamble. At weekends you have to queue for a seat, which I had to point out to the irritable and inpatient Englishman behind me. Who retorted he didn't have to the previous night, but in Vegas things become much busier at weekends. Idiot. The selection of whiskies at this bar is very limited and the prices are hilariously expensive if it wasn't for some around me who were paying the ridiculous prices for a Macallan. These again are the tumbler brigade who would rather be seen with a Scotch than actually appreciating it. 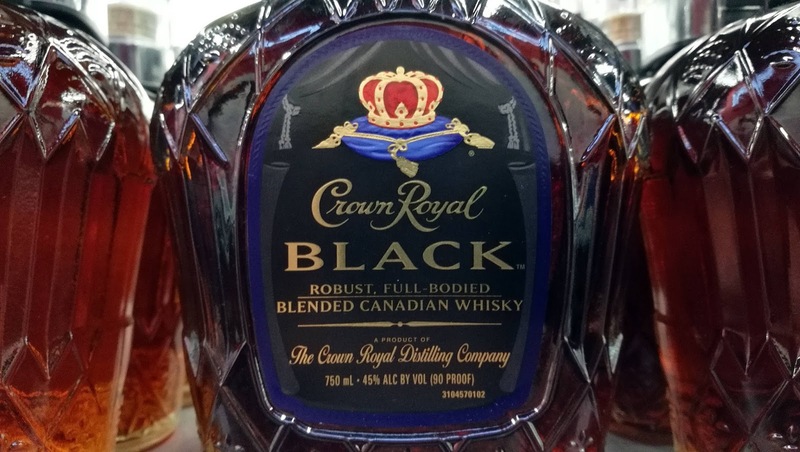 I ordered a double Crown Royal Black instead which was more realistic in price (still probably half the cost of an actual bottle) and prepared for more Canadian. Part of me was wishing that it would appear and go down much like the infamous Loch Dhu from the 1990's. Nose: very little in reality with some toffee notes, treacle and molasses. Oddly shiitake mushrooms and cutting through the status quo rhubarb. Taste: spicy at first and then is suddenly drops. Cardamon and treacle with some maple syrup and a rye-like promise with added Canadian smoothness and a charcoal aftertaste. Overall: totally inoffensive and potentially more beneficial in a cocktail. There isn't much to dislike here but its not going to have you walking to the nearer store for a bottle. I did note in travel retail on my way back that it was a ridiculously cheap $25 a bottle and that should give you an indication of its quality and product placement. And that's it. My Vegas adventure is over for another while. For all those that got in touch asking me to visit California for just a day I apologise. This time it wasn't possible and I do like to travel with bottles to show my appreciation. The West Coast is certainly on my hit-list next time but Vegas remains as fun as ever and has some worthwhile drinking options. To this all put into context there were only two bars where I had multiple whiskies which says it all. Sage is a great spot and very relaxing. I'd also recommend Oak & Ivy when you're downtown and tell them I sent you. On this trip I really appreciated the characteristics of Scotch whisky compared to the ultimately limited focus of the North American equivalents. Everything is well made but the fundamental flavours and aromas are lifted from a small cross-section of what Scotland and its produce can offer in comparison. It's good to travel and broaden the mind but when Scotland is your home, then you've got access to the best and I appreciate this even more now.